Barbara Jane Reyes is the author of Invocation to Daughters (City Lights Publishers, 2017). 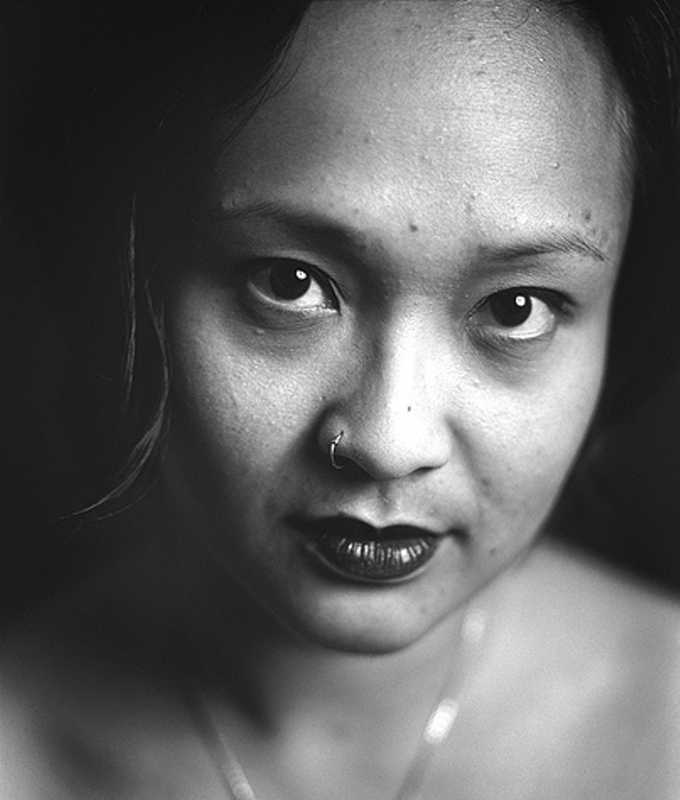 She was born in Manila, Philippines, raised in the San Francisco Bay Area, and is the author of four previous collections of poetry, Gravities of Center (Arkipelago Books, 2003), Poeta en San Francisco (Tinfish Press, 2005), which received the James Laughlin Award of the Academy of American Poets, Diwata (BOA Editions, Ltd., 2010), which received the Global Filipino Literary Award for Poetry, and To Love as Aswang (Philippine American Writers and Artists, Inc., 2015). She is also the author of the chapbooks Easter Sunday (Ypolita Press, 2008) Cherry (Portable Press at Yo-Yo Labs, 2008), and For the City that Nearly Broke Me (Aztlán Libre Press, 2012). Her sixth book, Letters to a Young Brown Girl, is forthcoming from BOA Editions, Ltd. in 2020. Her work is published or forthcoming in Arroyo Literary Review, Asian Pacific American Journal, As/Us, Boxcar Poetry Review, The Brooklyn Rail, Chain, Eleven Eleven, Entropy, Fairy Tale Review, Fourteen Hills, Hambone, Kartika Review, Lantern Review, New American Writing, New England Review, North American Review, Notre Dame Review, Origins Journal, Poetry, Prairie Schooner, South Dakota Review, Southern Humanities Review, TAYO Literary Magazine, xcp: Cross Cultural Poetics, among others. An Andrew W. Mellon Foundation Fellow, she received her B.A. in Ethnic Studies at U.C. Berkeley and her M.F.A. at San Francisco State University. She is an adjunct professor at University of San Francisco’s Yuchengco Philippine Studies Program. She lives with her husband, poet Oscar Bermeo, in Oakland.